Never has an Android device looked this good, introducing the Turing Phone, it is a revolutionary liquid-metal phone that not only redefines phone engineering, it also paves the way for trustworthy communication. 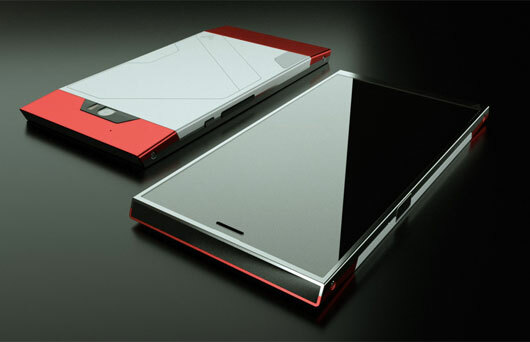 The Turing Phone is built with a pioneering material called Liquidmorphium, an amorphous “liquid metal” alloy tougher than either titanium or steel, this makes the phone not only beautiful, but basically indestructible. Bill Murray must undoubtedly be one of the most famous and recognisable figures in Hollywood. The Big Bad Book of Bill Murray is the appreciation piece that he deserves. He’s the sort of actor who can do Hamlet and Charlie’s Angels in the same year. 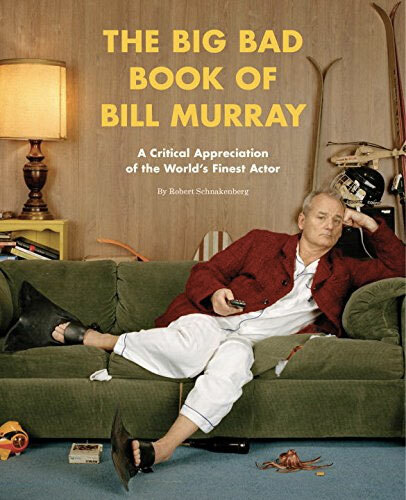 Buy your copy of Big Bad Book of Bill Murray, click here! He shuns managers and agents and once agreed to voice the part of Garfield because he mistakenly believed it was a Coen brothers film. Bill Murray’s extraordinary career is rich with fascinating anecdotes, contradictions, and mystery, from his early success on Saturday Night Live and the biggest blockbusters of the 1980s (Caddyshack, Stripes, Tootsie, Ghostbusters) to his reinvention as a hipster icon in the early 21st century (in films like Lost in Translation and Moonrise Kingdom). This book about Bill Murray is part biography, part critical appreciation, part love letter, and all fun, The Big Bad Book of Bill Murray chronicles every single Murray performance in loving detail, relating all the milestones, yarns, and controversy in the life of this beloved but enigmatic performer. Whiskey has never been more popular and the growth of the craft revolution in whiskey, beer and others Whiskey notes is a must have for any discerning taster. Craft distillers and established whiskey makers alike are offering spirits that defy convention, and the popularity of the beverage is growing exponentially. Whiskey Notes is a beautiful set of journals/note books designed to guide you through a personal exploration of the multifaceted spirit that is Whiskey. 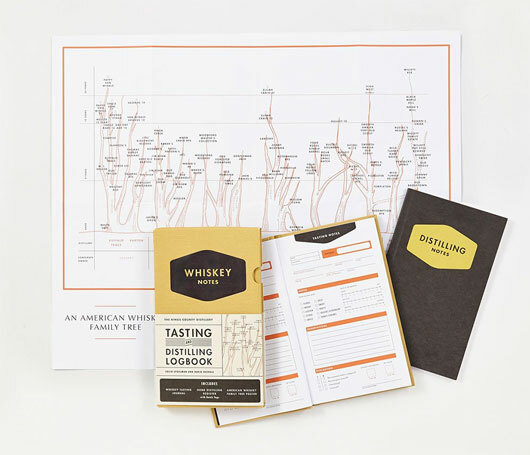 The set includes: a hardcover journal with guided pages for tasting notes, a slim notebook with work sheets for the home distiller, and a fold-out poster of the American Whiskey Family Tree. Buy your copy of Whiskey Notes, click here! Colin Spoelman and David Haskell are the founders of Kings County Distillery, together they fuse ancient practices and modern technology to make small-scale batches of moonshine, bourbon, and other whiskeys. Photoshop has recently moved to Creative Cloud which compared to Photoshop 1.0, released in 1990 which didn’t even have layers, live preview, multiple levels of undo, or many other features. 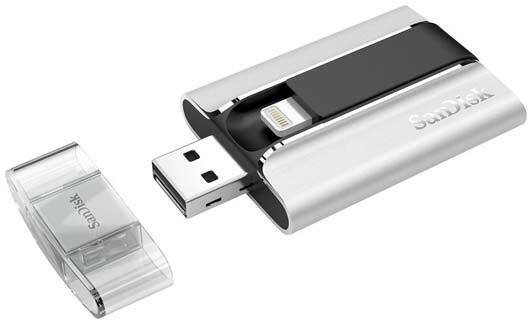 The Sandisk iXpand Apple Flash Drive is the easiest way to transfer photos and videos between your iPhone, iPad, PCs and Mac computers. Often running out of space and frustrated by being forced to use iTunes for everything? Well, the iXpand Apple Flash drive enables you to quickly free up memory on your iPhone or iPad, and instantly expand storage by up to 32GB. Buy your Sandisk iXpand Apple Flsah drive, click here! 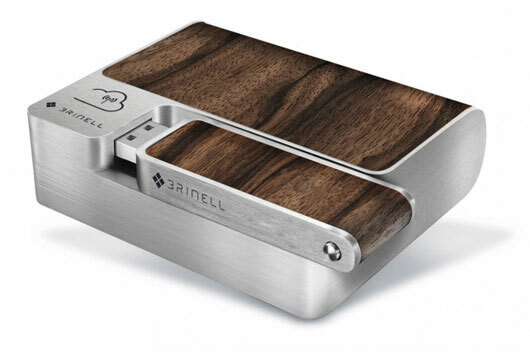 The Brinell Private Cloud is a compact data memory solution with a battery made of high-quality materials for extending the memory of mobile devices. It generates its own Wi-Fi, so you can access your data via smartphone, tablet, smart TV and laptop wirelessly and independently of Internet access – worldwide and at any time! Your data is securely stored on the detachable brinell stick that fits perfectly into the design. In addition, thanks to the internal 5.200mAh Power battery, the handy brinell Private Cloud is the ideal companion for travelling, with a battery life of up to 12 hours. 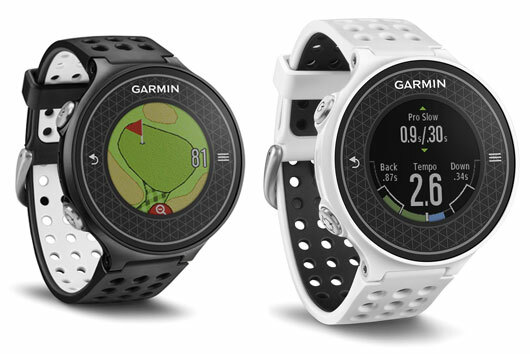 The Garmin Approach S6 golf watch is a feature-packed hi-resolution touchscreen GPS watch with built in swing metrics, including SwingStrength calibration. The S6 will not only assist you in understanding how hard to swing which club, it will also assist you in fine-tune your swing timing. Some more functions that make a bold statement is an impressive 30 000 full color CourseView maps of international courses, touch targeting, PinPointer and dedicated CourseViewbutton with manual pin positioning help you quickly find precise yardage and direction you need for every shot. Buy your Garmin Approach S6 golf watch, click here! The new Shimano SH-M163 mountain bike shoe has taken the sport of mountain biking to the next level, their new Torbal Technology allows for some twisting of the outer foot without losing effective contact between the forefoot and the pedal. This means that even the most unconventional of riders have the opportunity to own a comfortable shoe. Watch this space, the new range will be available soon. The Wallet Ninja credit card multi-tool gives you the power of 18 reliable, functional, everyday tools, in the size of a credit card. 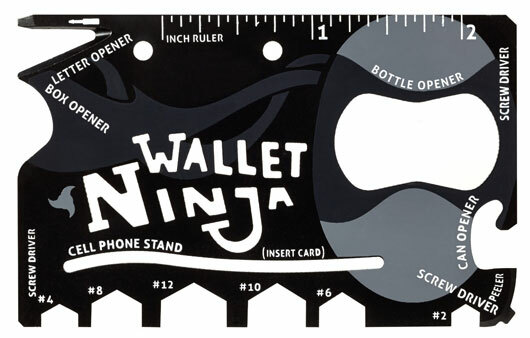 The Wallet Ninja give you the following packed into the size of your credit card: 6 Hex wrenches, a can opener, fruit peeler, bottle opener, ruler (standard & metric), letter opener, box opener, phone stand, eyeglasses, phillips, and flathead screwdriver! Buy your Ninja Wallet, click here! 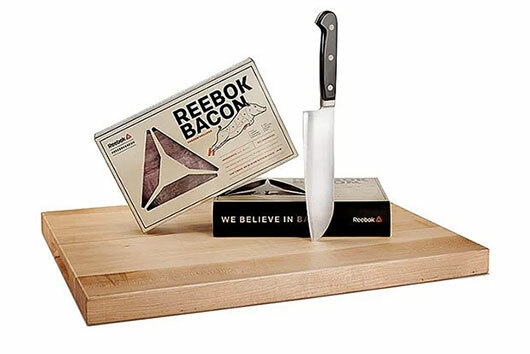 As if bacon isn’t good enough, now Reebok brings us sports bacon! In a bold move Reebok is attempting to win over the hearts and minds of the sporting public with their latest endeavour which is sure the win over even the greatest skeptics. Details to follow on how to get your grubby paws on some of this deliciousness!